Innovation and Regulation: Friend or Foe to the French Entrepreneur? What do Sophia Antipolis, the Skolkovo Innovation Hub and Palmero Valley have in common? Their names are unknown to 90% of readers. In reality, they are three ventures founded on a similar principle — that innovation can be copied through the recreation of Silicon Valley. However, the conditions for entrepreneurship could not be more different from country to country. According to the Global Entrepreneurship Monitor, “early-stage” entrepreneurs in 2010 made up just 5.8% of France’s adult population, well below America’s 7.6% and Brazil’s 17%. This clearly shows that France has a problem with creating new businesses destined for growth. More specifically, in France, taxation and regulation have worked against entrepreneurship by raising obstacles to innovation and crowding out early-stage investment. At the same time, the country’s best efforts to follow the advice of brazen economists and liberalize its economy have been met by both political resistance and less-than-stellar results. Still, there is opportunity. France, the country that boasts home-grown giants such as Carrefour, Michelin and Saint-Gobain, can rediscover its entrepreneurial spirit through an examination of its own rich cultural heritage. What factors have led to the failure of past efforts to spur entrepreneurship in France? And how can the country innovate by working with, instead of against, its strong central government? The economic problems in Europe are well-documented — bloated fiscal budgets, large deficits, high taxation and unwieldy regulation, to name but a few. In the midst of the Eurozone debt crisis, concerns have again been raised about member countries’ competitive and fiscal sustainability, given increased scrutiny by credit-rating agencies and global investors. In France, two trends are most alarming: first, regulation that impedes the creation of small businesses dedicated to solving the problems of today and tomorrow and, second, high taxation that feeds unemployment while depriving enterprises of the resources needed to innovate. Regulation is, in part, the by-product of France’s rich cultural history. The success of the regimes that led up to the current incarnation of the French government, i.e., the Fifth Republic, evolved from an environment where the monarchy had absolute power into a system that vowed to protect the individual worker from the perceived malevolence of corporations. This protection, according to René Silvestre, the legendary founder of the French monthly magazine l’Étudiant and owner of Paris’s only privately funded start-up incubator, La Pépinière 27, creates a cultural aversion to risk-taking. While paying even the minimum annual salary can be prohibitive for a young French start-up, dismissing an employee can be equally perilous. According to the most recent statistics from the OECD (Organisation for Economic Co-operation and Development) France in 2008-2009 ranked 6th among the top 40 developed markets in terms of employee job protection, while the U.S. ranked last — more than three standard deviations apart. In other words, while the social contract in the land of Rousseau places considerable emphasis on the protection of the individual, it also restricts the flexibility of corporations to hire and fire based on demand, making them more hesitant to take on employees from the start. For example, an employee can be dismissed at any time in the U.S. In France, the process is both bureaucratic — requiring multiple rounds of notification — and time–intensive, with a minimum notification period of two months for an employee with two years of tenure. In addition, while the U.S. has no official federal laws governing severance pay, France requires a minimum severance payment of six months’ salary. Thus, while French regulation provides for a virtually unmatched quality of life, the same regulation hinders the success of the entrepreneur by creating a system that is both expensive and bureaucratic. At the same time, taxation is equally restrictive to growth. While the French small- or medium-sized enterprise (SME) is constantly on guard to avoid human capital headaches, it is also at war with the force of its government’s tax structure. If an employee in France earns a salary of €30,000 per year, the company pays on average an additional 42% of the salary in benefits and social security, more than 4.5 times what it would pay in the U.S., before accounting for exchange rates. For a self-employed worker in France, the tax rate is more than 2.7 times that of the U.S., according to the latest analysis from the OECD in 2009. The structure of the tax system à la française also contributes to the problem. In lieu of a direct sales tax, France employs a value-added tax system, called the Taxe sur la valeur ajoutée (TVA). The greatest distinction is: Whereas a sales tax is applied to the consumer only at the time of purchase, the TVA is collected every time the goods or services are exchanged. 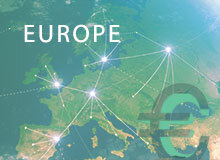 While the resulting revenues for the government do not change — and given that this manner of taxation is used throughout the European Union — the obligatory accounting expenses to document the TVA properly for all of the SME’s transactions impose yet another tariff on the time and revenues of the developing business. The fact of the matter is that being a small business owner in France is an up-hill battle. There may be venture capital financing at the summit, but it is difficult to ascend with the weight of regulations, taxes and employment laws — in addition to a strong cultural headwind — all working against the start-up. Many aspiring entrepreneurs simply leave. According to a July 2012 article published by The Economist, there are approximately 500 start-ups in the San Francisco Bay area with French founders. One of the things they find there is a freedom to fail. “If your firm goes under in France,” says Dan Serfaty, the French founder of Viadeo, a fast-growing business-networking website, “you don’t get a second chance.” While the French government has tried to level the terrain, it has neglected to lighten sufficiently the counterweights that impede every step. So far, government initiatives to benefit entrepreneurs have been aimed at liberalizing the market. The biggest spark came from the decision in 1999 to pass La Loi sur l’Innovation et la Recherche, which introduced a legal and fiscal framework for the establishment of innovative businesses. The law created the status of chercheur-entrepreneur and encouraged cooperation between R&D in the public sector and in enterprises. Widely recognized as a major launching pad for the entrepreneurship industry in France, it has had a real impact on the space. Between 2000 and 2004 alone, the number of spin-offs created increased by a multiple of four to five, according to research conducted by Valerie Francois-Noyer and Dominique Droma of the University of Lille. In a similar attempt to bridge the gap between R&D and business, the Credit d’Impot Recherche was launched in 2008 to fiscally lighten companies, large or small, by providing a 30% tax credit for up to €100 million of funds spent on research and development and 5% for amounts above that sum. Another state initiative of note is Oseo, often considered the public bank of SMEs. In its main role of fostering innovation, Oseo acts as a guarantor for small business owners seeking funding, often assuming up to 70% of a loan’s risk. In addition, FCPIs (Fonds Commun de Placement dans l’Innovation) were created as an alternative form of long-term savings for discerning French investors and help to finance start-ups and innovative businesses recommended by Oseo. According to a study conducted by this organization, by the end of 2010, more than €6 billion had been injected into these funds, and it had been noted that an innovative business is more than two times more likely to register a patent and four times more likely to be introduced in the financial markets if it has received capital from an FCPI. The auto-entrepreneurship scheme is another initiative that cuts through the jungle of administrative red tape usually required to launch a company and dramatically lightens the heavy taxes and social charges companies pay. While regular outfits face set charges whether business is booming or bust, auto-entrepreneurs are taxed only on the revenue earned. It is no wonder that La Tribune, a financial daily, points out that, since its inception, more than 1.1 million individuals have enrolled. Unfortunately, the majority of auto-entrepreneurs in the program have no developed business plan before launch (62%) or have less than €500 invested in their own venture (55%), according to an October 2009 barometer cited by the Paris Chamber of Commerce and Industry. While this program captures the spirit, the evidence seems to suggest that citizens are gaming the system even as their tactic limits funds to actual entrepreneurs. This non-exhaustive list highlights the French government’s multi-pronged approach to easing the path for innovative entrepreneurs. While each initiative has had varying rates of success, the evidence is clear: Those in the trenches will readily admit that the landscape has improved significantly over the last five to 10 years. However, despite these attempts, France still lags behind other countries in this arena. And while the French government has managed to lighten some of the administrative barriers and has implemented means to encourage entrepreneurial innovation, it has yet to tackle other aspects. Among the many reasons why these changes have not worked, perhaps the most glaring is the paradoxical lack of financing and lack of liquidity. A September 2011 publication by the Centre d’Analyse Stratégique, which operates under the authority of the French Prime Minister, revealed that, in the crucial finance sectors of business angel and venture capital, France lags behind its British and American counterparts. Not only does France have fewer business angels than the U.K. and the U.S., but it also invests, on average, smaller amounts of capital per investment. Dollar for dollar, assuming September 2011 exchange rates, the French angel invests only 30 cents for every dollar invested by his American counterpart, and 18 cents compared to his British equivalent. Moreover, in 2011, French angel investors financed only 280 opportunities, compared to American angels, who funded 61,900 investments. Even after adjusting for GDP and population, the French business-angel market pales in comparison. The lack of financial “traction” in the early stages of a business is depriving the would-be venture-capital market of potential funding opportunities. France, however, has a well-developed financial market and boasts one of the highest saving rates (17.0%) in the Eurozone. A closer look reveals an unmistakable trend and appetite for life-insurance and savings products, as noted by the article above. According to Reuters, “the rate of growth in deposits in ‘Livret A’ savings accounts, which are tax free and have a state regulated interest rate …” is leading the French to put their money into these accounts. Matthew Christensen, director at AXA Investment Managers, the asset-management arm of French insurance behemoth AXA, adds that, “part of it is the mentality and the culture, but more importantly it has to do with the incentive structure. Look at what the most popular investment vehicle is in France. It’s either ‘assurance,’ which is unlike any American insurance product, or tax free savings accounts. Behind the French ‘assurance’ product is a system of fiscal and tax incentives and guaranteed returns.” In a contextual backdrop of ever-increasing tax rates in France, one can begin to see the indirect effects that government regulations and taxes have on consumer-finance behavior. Economic theory discusses some of the perverse effects an economy can experience from too much government-led investment. The “crowding-out” effect, for example, pushes out private-investment spending and influences both consumer and corporate behavior. Could the French government inadvertently be creating a “crowding-out” effect by incentivizing consumers out of risk-adjusted investing, and could the government be partly behind the high French savings rate? Given ever-increasing taxes in France — especially those on gains — and given the tax-free nature of these savings accounts, this could help explain the lack of appetite for risk or, generally speaking, for small start-up business opportunities. “Looking back at the debates for this past presidential election … they managed to talk about everything, [including] biologically modified tomatoes, the Eurozone crisis, and unemployment, yet nowhere in the debate was there ever a discussion about how to encourage innovative entrepreneurship in France,” says Silvestre. “If you ask me, if you encourage innovative start-ups and give them the means and the runway, that will [cut] the unemployment rate” by 2%. In his view, the French government needs to think beyond just eliminating red tape and recognize the importance of innovative enterprises and their potential impact on the economy. This issue needs to be at the center of the debate. The solution, however, must go beyond debate and contemplate a role for the French government. Typical calls to liberalize à l’Américaine simply do not work within a French context because they ignore the tools at the disposal of the French government. The flip side to regulation and high taxes is that the government has a credible fiscal authority and the ability to regulate its financial and commercial markets effectively. If government policy can incentivize people to save, could it not encourage people to innovate and to invest? Perhaps the French government should devise an incentive system that creates fiscal benefits for moderate amounts of risk-taking from both investor and entrepreneurial standpoints. New York’s NASDAQ has inspired other markets, such as Germany’s now-extinct Neuer Markt and China’s relatively new high-tech Shenzhen ChiNext. Creating liquidity for high-tech, high-growth companies could be another complementary approach to encourage innovative entrepreneurship and investors with this risk-return appetite. Finally, we must not underestimate the cultural aspects of the equation. In creating the right incentive structure with a liquid capital market, the government could potentially engender a cultural shift that will encourage, rather than dissuade, the next generation of entrepreneurs emerging in the marketplace. This article was written by Adamah Cole, Fana Gibson, Olivier Jacque and Andrew Smolenski, members of the Lauder Class of 2014.